Do you need assistance crafting a residential or commercial lease agreement to ensure your rights and interests are protected as a landlord? Are you dealing with a tenant who cannot pay rent and would like to know what legal options are available to you? Has a disgruntled tenant threatened to file a lawsuit? 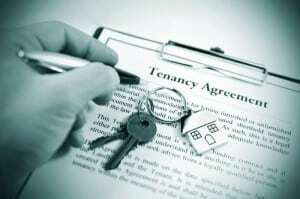 Whether you own single or multi-unit residential or commercial real estate properties, it’s vitally important to have a firm grasp on the state’s landlord-tenant law. At Piper Legal, we help landlords navigate complex real estate laws and provide effective legal solutions to make sure your investments are protected and poised to grow. 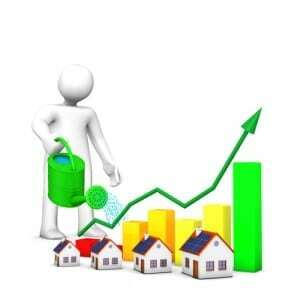 We want you to have reliable cash flow and fewer vacancies. That’s why we’ve created a proprietary portal to expedite the court process for landlords.  Click here to get started with an online eviction filing in Michigan, or give us a call at (810) 235-2558 for a FREE consultation. Defending against claims brought forth by disgruntled tenants for wrongful eviction, premises liability, discrimination, etc. 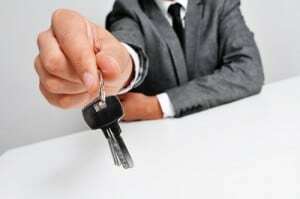 A well-written rental or lease agreement can protect your assets and reduce the risk for everyone involved. If the rules are explicitly outlined, there will be little room for dispute or blame if/when a conflict arises. 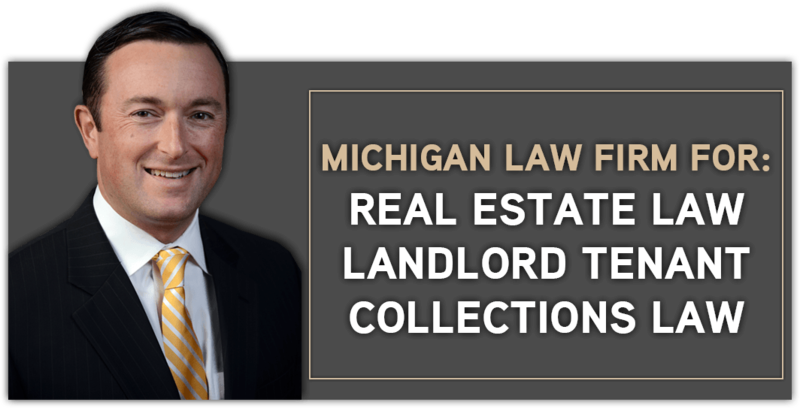 Michigan’s laws for residential leases are very strict and pro-tenant. Piper Legal has the expertise needed to make sure your lease complies with federal, state and local laws, ordinances and regulations. We know what you are legally required to disclose, as well as what clauses are illegal and could get you into trouble. As a landlord in Michigan, you can charge a tenant a maximum of one and a half month’s rent as a security deposit. 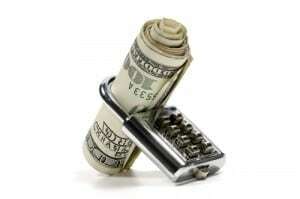 You can store your security deposit in an escrow account or surety bond. Within 14 days of the tenant’s move-in date, you must provide a written notice detailing the tenant’s obligation to provide a forwarding address within 4 days of their move-out date. You have 30 days from tenant move-out to return the tenant’s security deposit to the forwarding address provided. If you have made any deduction from the security deposit, you must include an itemized list of the deductions along with the amount withheld or approximate cost to repair. You must include a check or money order for the difference between the original security deposit and any deductions made. Are There Any Conditions That Would Allow Me To Keep The Security Deposit? Can I Ever Raise The Rent? Yes, but only if it is done correctly. Usually, you cannot raise the rent until the lease ends. There may be exceptions if it is stated in the lease that you can raise the rent due to rising utility costs or higher taxes, or if an additional tenant moves into the unit, for example. A tenant’s rental period depends on how often he pays the rent. Therefore, if a tenant pays the rent monthly, you have to give at least one month written notice before you can legally charge more rent. 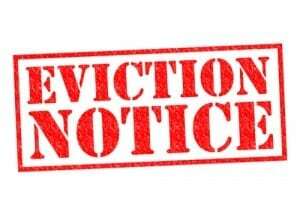 Landlords must have a valid reason for terminating a tenancy before the end of the lease term. This lets them know they have 7 days to pay the overdue rent or vacate before legal action is taken. If the lease is month-to-month or there was a material breach of the lease, such as having unauthorized persons living on the property or by creating a nuisance, then the eviction notice would be 30 days. If you have the appropriate Drug Free Addendum added to your lease agreement and you have filed a police report alleging that your tenant unlawfully possessed, manufactured, delivered, or sold controlled substance on the premises, you only have to give 24 hours notice. If the tenant fails to comply and vacate the property, Piper Legal can help you take legal action. We understand that the longer a tenant fails to pay rent, the more money you lose. We will file and serve a Summons and Complaint in Eviction and a court hearing will be scheduled. If the tenant fails to appear on the date indicated on the Summons, the court will declare the tenant in default and award you possession of the property. If the tenant does not move out within 10 days, a writ of restitution can be issued giving law enforcement permission to physically remove the tenant. Is It Lawful For My Tenant To Break The Lease? Tenants who have occupied their rental unit for more than 13 months may terminate the lease by a 60-day written notice if they have become eligible for subsidized senior citizen housing, or because they are incapable of living independently due to age or disability. As the landlord, you would be responsible for finding a new tenant, but the previous tenant will be liable for rent until you fill the vacancy. First and foremost, make sure to have a written release. Landlords must maintain and repair their rental properties. All amenities and appliances should be clean and in good working order, both at the beginning of the tenancy and for the duration of the tenant occupancy of the unit. If someone is injured on your property because you failed to adhere to the standards outlined by your region, you may be held accountable for damages caused by your negligence. Security deposits are another area of the law where landlords are being sued. Landlords must comply with the security deposit laws of the State. If there are deductions, make sure there is documentation of damage to the premises and repairs and provide those documents to the tenant within 21 days after the tenant vacates. Commercial leases do not have the same protections residential leases have. They are also longer in duration, tenants often have more costs and expenses, and there are usually restrictions on how the premises can be used. There is no standard agreement, which is why there’s always a lot of negotiations involved. the negotiation of purchase/sale agreements, lease renewals and subleases. If you are a residential or commercial landlord in Michigan, Piper Legal can provide legal assistance to help you maximize your investment and minimize risk. Give us a call (810) 235-2558 today for a FREE consultation.